Everyone is born winners; some are born special. Though they are physically challenged, they carry strong belief and true spirit to achieve. They also deserve equal opportunities to prove their capabilities in life. The objective & vision is to encourage the spirit of the game of Volleyball for Disabled in India and build stronger National team for Men and Women; Participate in International Tournaments and World Championship and Para-Olympic 2020 Tokyo; and win medals for India. We look forward for sponsorship and support/contribution to uplift the Para-Volleyball Game in India. 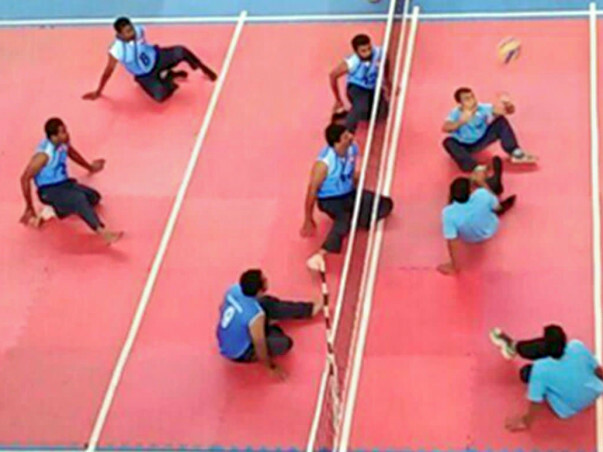 The 6th Senior Sitting Para-Volleyball National Championship 2016, have 15 teams of 15 members squad each, playing 3 days tournament, coming form different states of India to participate. Total number of participants are 225 players and 40 officials.